Israeli designer Yael Falk designs for her brand “YooLa” clean geometric jewelry and small home decor pieces. The softness of the metal wires creates a feel of serenity and quiet, originated from the perception that “less is more “. 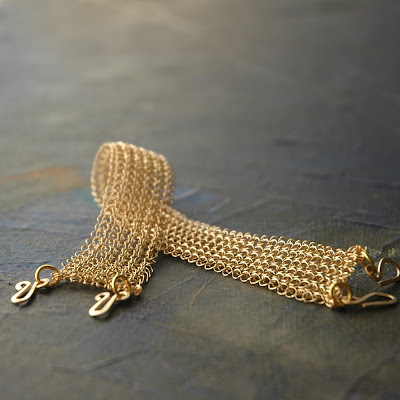 Yael’s jewelry are combined of 3D structures and surfaces using fine metal wires such as 14k gold filled, silver and copper. The work is done using a tiny crochet hook and nothing but the designer’s bare hands. 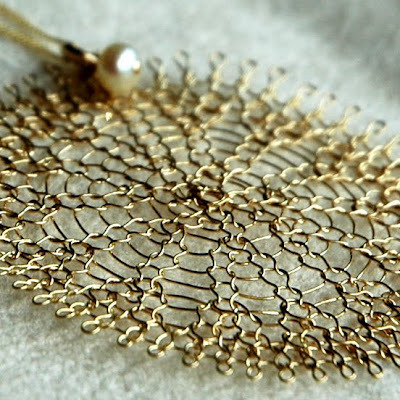 The basic technique was learned in Montreux, Switzerland a couple of years ago and since than designer Yael Falk has developed unique patterns and designs based on that technique. Yael has over 15 years of experience in the field of an industrial design and product development. She finds a lot of resemblance between the complex 3D forms she builds on the computer and the elements she creates with her own hands in her jewelry collection. YooLa’s collection is currently presented in galleries in France, Singapore, USA and Israel. Oh wow, this is sooo beautiful!